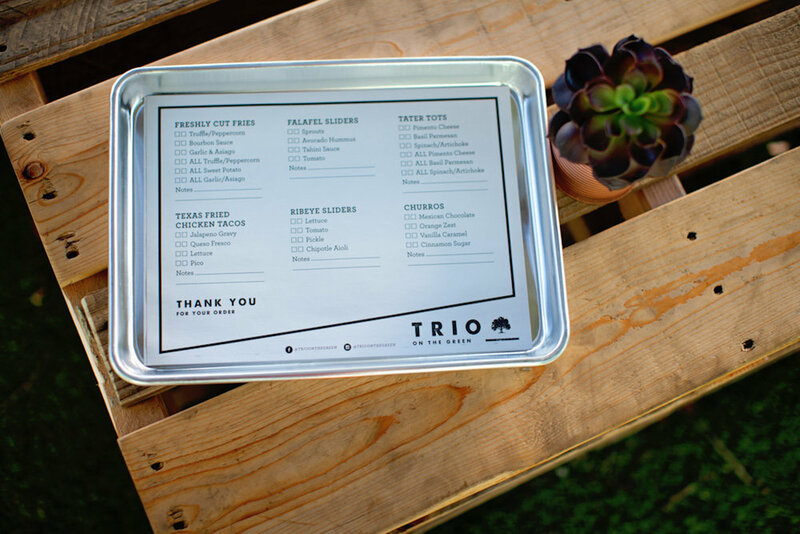 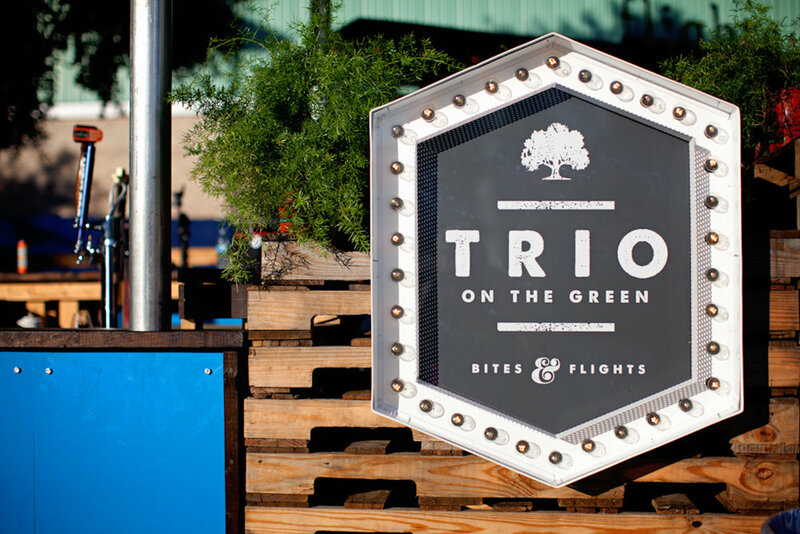 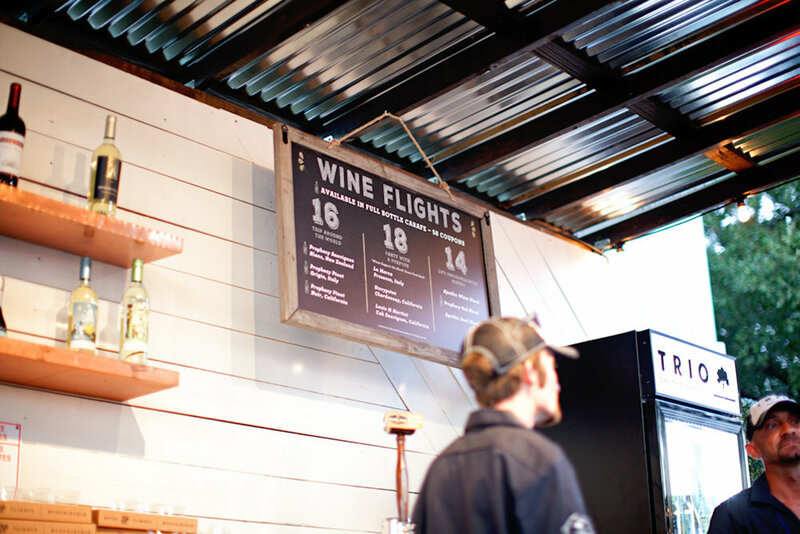 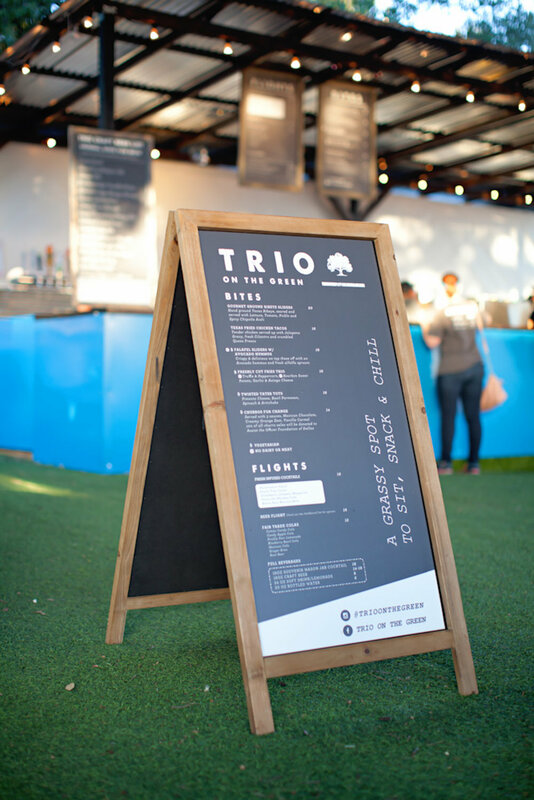 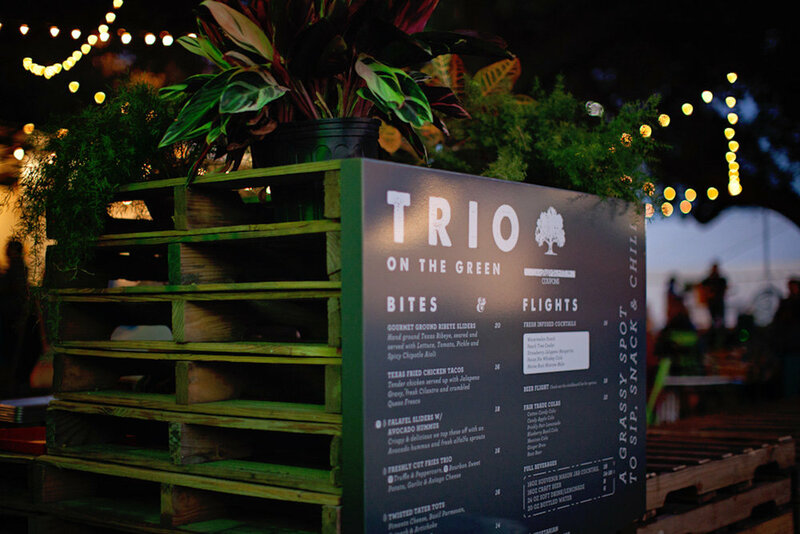 A grassy, green oasis for quality snacks, cold drinks and live music within the Texas State Fair, Trio on the Green has now pleased guests for two consecutive years. 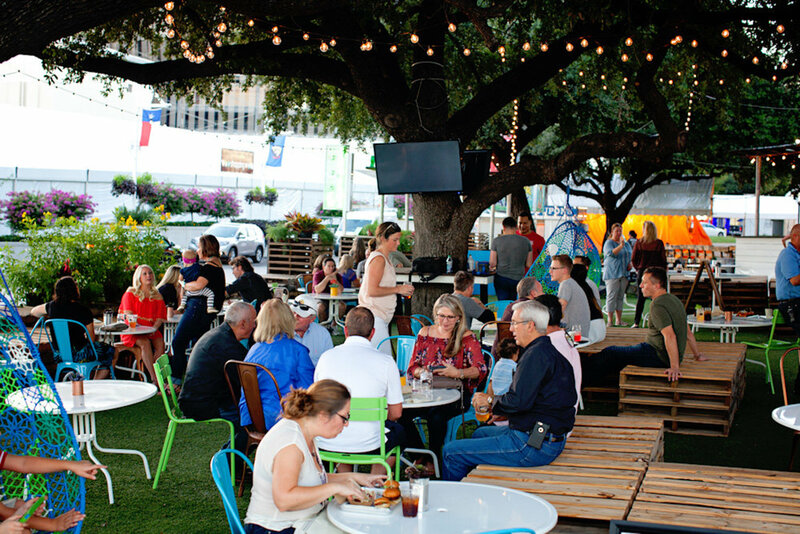 The perimeder is constructed with upcycled shipping pallets, the furiture is playful and fun to sit in, the signage competes with the noise of the State Fair, and the vibe can be described as a magical garden party. 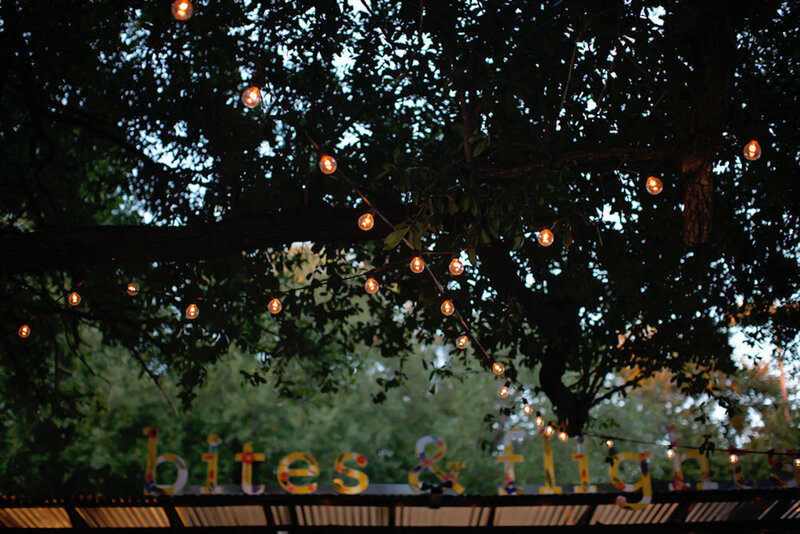 Too bad this place only comes around once a year!